It sounds natural for the state of Israel to recognize genocides committed against others, but a move by a Jewish parliamentarian to do so for the Armenian Genocide is in jeopardy amid heavy Turkish lobby. According to Haaretz, a Turkish delegation has asked Israel’s government to cancel a discussion on the Armenian Genocide in the Knesset, Israel’s legislature. The chairman of the Foreign Affairs and Defense Committee in the Turkish parliament, Hasan Murat Mercan, has asked the Prime Minister’s Bureau to cancel a scheduled discussion in the Knesset on the Armenian genocide.Mercan was in Israel this week at the head of a Turkish parliamentary delegation for talks with their Israeli counterparts. Talks included discussions on Iran, the Palestinians and Syria, but the main issue the Turkish delegation raised was an upcoming Knesset debate on the Armenian genocide. 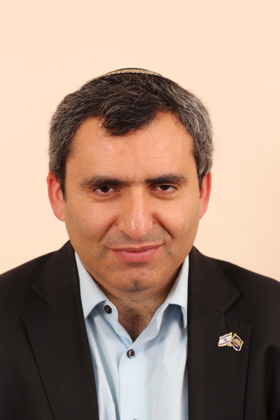 It is not just the heavy Turkish lobbying that may kill the move, Knesset member Zeev Elkin has told The Armenian Reporter, but also the lack of Armenian reaction. […] I have to note that there has not been any intense attention from the Armenian side – either from the diaspora or the government – to this issue. And this does not make things easier for me. e fact that both Turkey and Azerbaijan are intensively lobbying the Knesset, and there is no similar effort from the Armenian side, makes the challenge we have even more difficult. Well starting just with communication by supporters of this issue with members of the Knesset – all member e-mails are available on the web site www. knesset.gov.il, as are phone numbers. All parliament members pay attention to the public, even if that public is not part of their electorate. Whether letters by Armenians will help is a question wide open but many are convinced Israel will recognize the Armenian Genocide sooner or later. “Turkey will eventually have to resign itself to the fact that the parliament of Israel, like parliaments of other countries before it, will take a position on this issue,” says Elkin. During the same week when Israeli president Shimon Peres apologized for the Kafr Kassem massacre of Arab civilians in 1956, official Armenia expressed its optimism that Israel will soon recognize the Armenian Genocide. Written by the same author who reported the recent vandalism of Armenia’s Holocaust Memorial, an article in the Jerusalem Post states that an adviser to Armenia’s president explains that Israel’s affirmation of the Armenian Genocide is not a matter of if but of when. The government of Armenia is “very hopeful” that Israel will soon recognize the World War I-era massacre of Armenians by Turks as an “act of genocide,” a senior Armenian official told The Jerusalem Post last week. “I am very hopeful that Israel, step by step, will recognize it as well… We are very hopeful and we are waiting for it,” Yeritsyan said. Contacted by the Post, a spokesman for Israel’s Foreign Ministry declined to comment. The fact that Peres has officially apologized for the Kafr Kassem massacre is very encouraging and should serve as an example to the Turkish government. I am not talking about recognizing the Armenian Genocide tomorrow and placing plaques next to the “memorials” of the organizers of the Armenian Genocide in Turkey telling the truth. Israel apologizes for killing 48 civilians; why doesn’t Turkey apologize for over a million death? Let’s say that Turkey genuinely believes that “only” 300,000 Armenians were killed during World War I. Isn’t that 300,000 lives to apologize for? Let’s say Turkey genuinely thinks the term genocide cannot be applied to the Armenian case; why doesn’t it apologize for “the Armenian massacre” then? The horrible truth is that the denial of the Armenian Genocide is not a simple refusal to apply the term genocide to the Armenian experience. The denial of the Armenian Genocide in Turkey is refusal that any kind of crime has been committed against the Armenian people. It is microdenial – an attempt to legitimize the extermination of the Armenian civilization from what is today’s Turkey. The mainstream media religiously say that “Turkey refuses the word genocide” as though as the Turkish denial of the Armenian Genocide only started after the word “genocide” was coined in 1944. Years before anyone had word the term “genocide,” Turkey threatened to ban Hollywood movies if MGM produced a movie that dealt with resistance during the Armenian extermination based on a book banned by Hitler because of being written by a Jew. After the State Department intervened, the movie was dropped. Isn’t this absolute denial?